A Sigma Theta Tau International (Sigma) youth representative represents Sigma to the United Nations Department of Public Information (DPI) and the non-government organization (NGO) community. 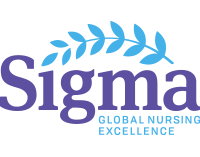 They attend and/or participate in various United Nations (UN) events/programs/activities, related to health, nursing, or other areas of interest to Sigma, with the purpose of gathering information to inform and advise the Sigma Global Initiatives department to fulfill Sigma’s mission. This role reports directly to the Global Program Manager in the Global Initiatives department. Click here to read more about the requirements and apply today!